Silver stone fox faux fur large hobo bag., Package shipping 48h. 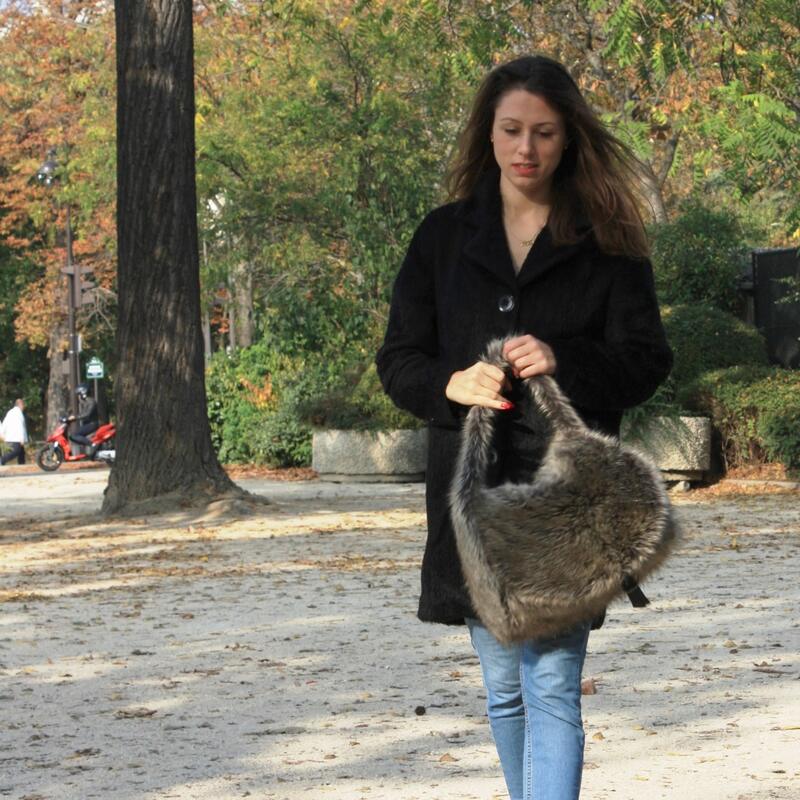 This faux fur hobo bag is perfect for a pretty casual chic look and to carry all the things you need. Boho or urban, it suits with almost everything! It is unique, handy and washable. There are two pockets inside (one with a zipper). The under of the flap and the strap are made with black glossy denim. There is a canon color metal ring and two ribbons of the same denim at the end of the flap to make it more pretty. This fox faux fur imitation with long hairs (1,5 to more than 2 inch) and high density (1000 g/m) is shiny and soft, the colors are brilliant.